The day was sunny and it was a pleasure to climb up, even though there were many people who were going with us. Our tour started at 1000m of altitude and ended at 2000m to Kasprowy Wierch. In two third of the way, we reached Hala Gasienicowa – a meadow in between mountains. As soon as I saw the composition of the wooden cabin with high mountain scenery I knew it was worth to carry ten kilos of camera backpack with me. Halny is a special foehn wind that occurs only on the Polish-Slovak border in the Tatra Mountains. 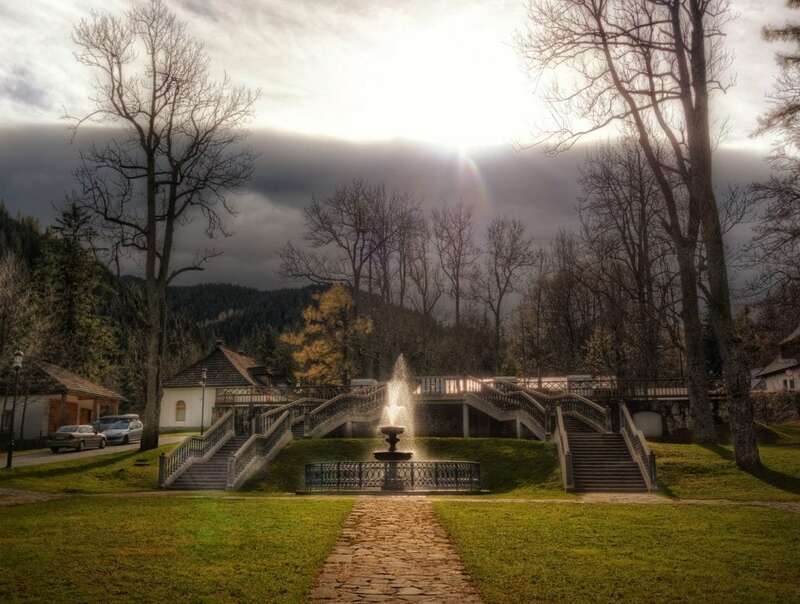 First, clouds push in for 2-3 days on the Slovak side, bringing heavy rain. In the same time on the Polish side it is warm and sunny. After the 2-3 days, Halny comes to the Polish side. Hurricane force winds then come down from the peaks into the valley. The lanterns in Zakopane were still shining bright as we walked up to Gubałówka hill in total darkness. We arrived just in time on a plateau from which you had a good view over the town without having to climb up the whole mountain. The sun was still under the horizon, but you started to notice the first light. 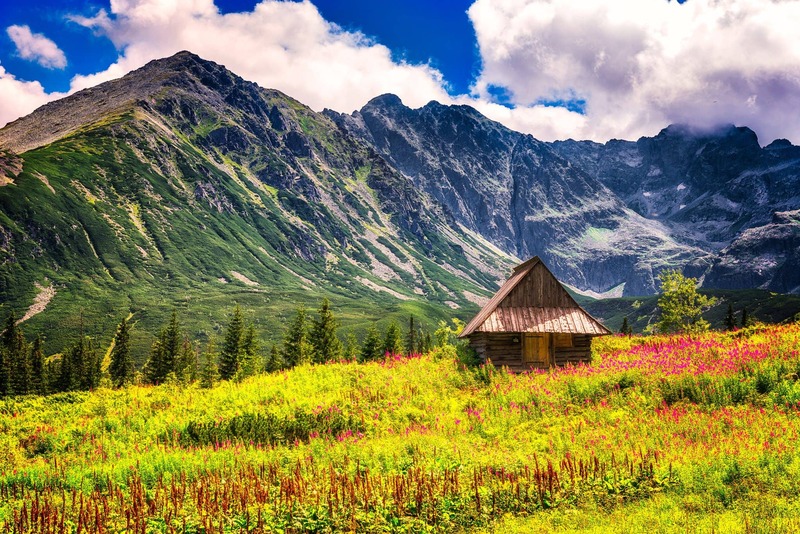 The Tatra Mountains are the biggest mountains in Poland with a height up to 2,499m. 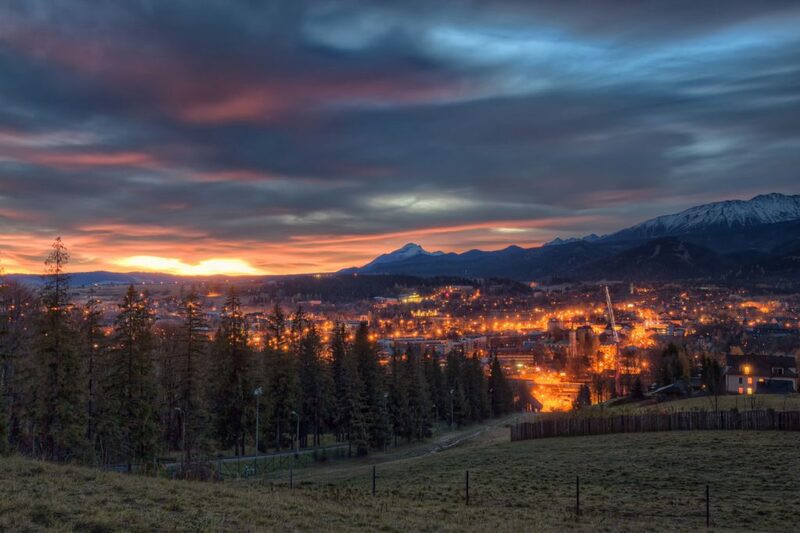 Zakopane is a small town at the foot of the mountains that invite tourists from all over the world. 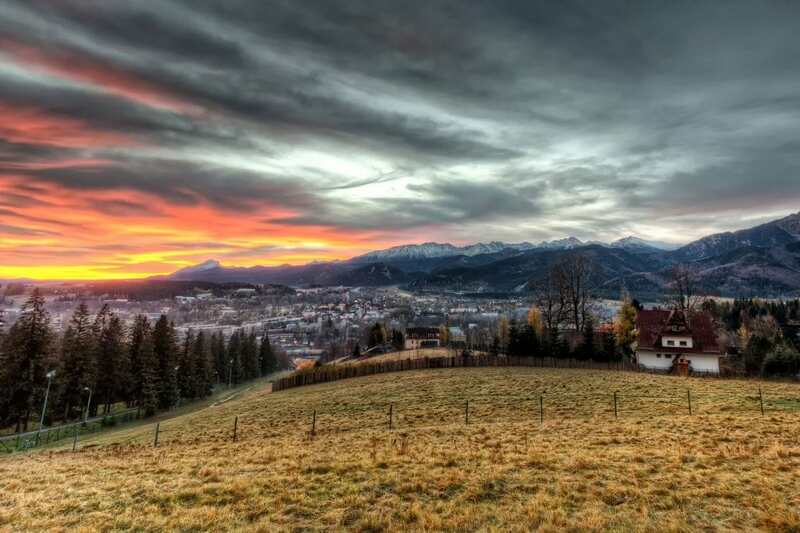 What’s especially nice about Zakopane is its location in the valley. Because of that you can climb a “hill” (Me as a Berliner, I call it a mountain) and have a stunning view on this highest part of the Carpathians.